Have you read the children's book "The Giving Tree"? I remember thinking that the boy was so selfish. And then I became a parent. The book took on another meaning. It is not about the boy's needs or his seemingly inability to question the tree's needs, no, it's about the selflessness and unconditional love given by the tree. As parents, we understand try to understand that children's needs come first and it's our beautiful role to fill them and love them through every phase. 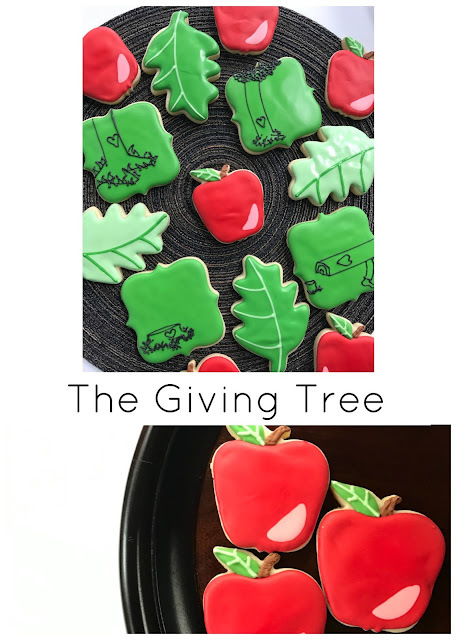 A friend of mine recently asked for a teacher appreciation set of cookies that would include a tree theme. I instantly thought of the Giving Tree. In many ways teachers are tasked to give selflessly to our children. 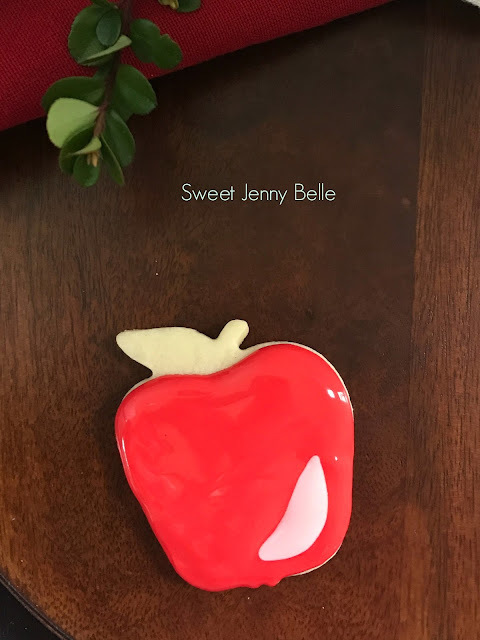 The apples are very easy to make and perfect for your teacher to show appreciation for all that they do. What do you need? 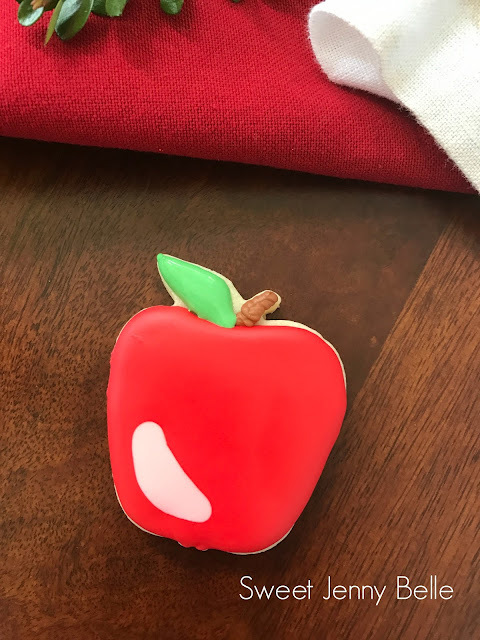 Pipe your apple and highlight outline. 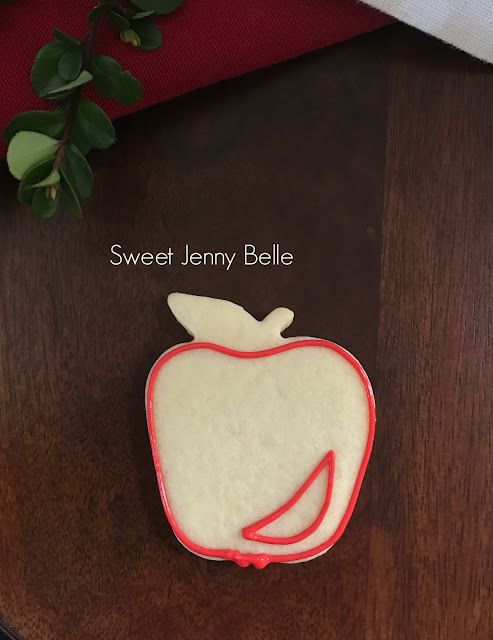 The icing consistency is about a 10-12 second flow with Americolor red. Immediately fill and flood the apple. 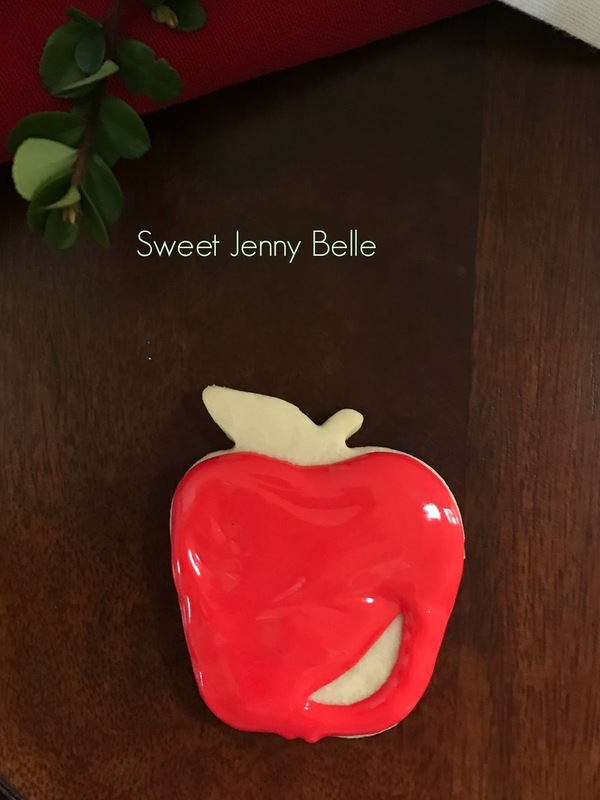 The pink icing is also created with the Americolor red. It's the tiniest touch of red to 15 second flow. Before the red apple crusts over, fill the highlight in with the pink. You can use a toothpick to push the icing out, but don't go all the way into the red. 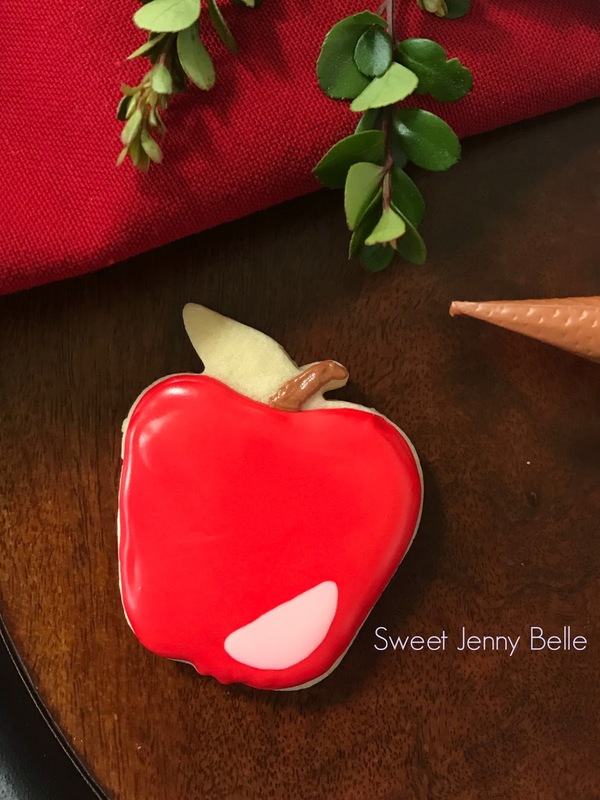 The brown stem is created in a semi-stiff icing with chocolate brown. 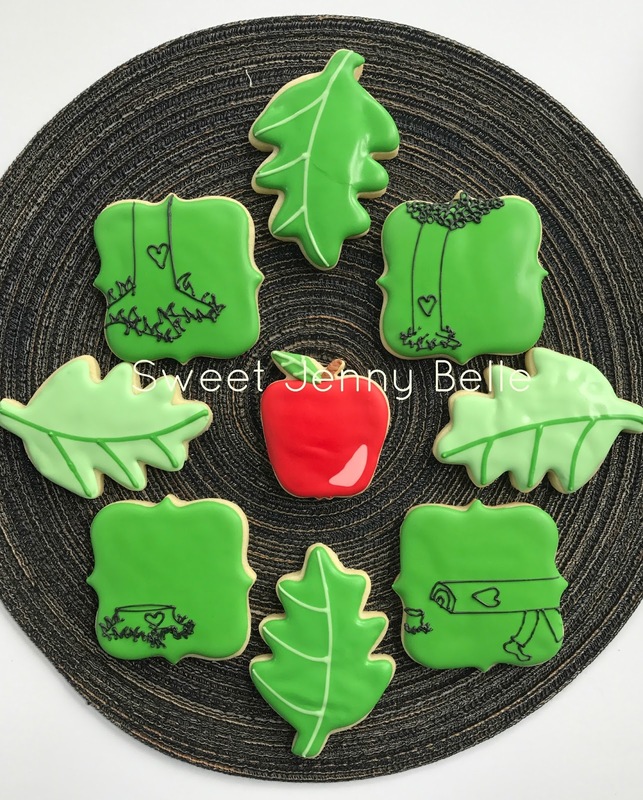 The leaf is done with Americolor leaf green in 15 second flow icing. The light green is also leaf green with just a touch. Ice the leaf veins while the dark green is still wet. Carefully place your cookies in a dehydrator at 90 degrees for 10 minutes. 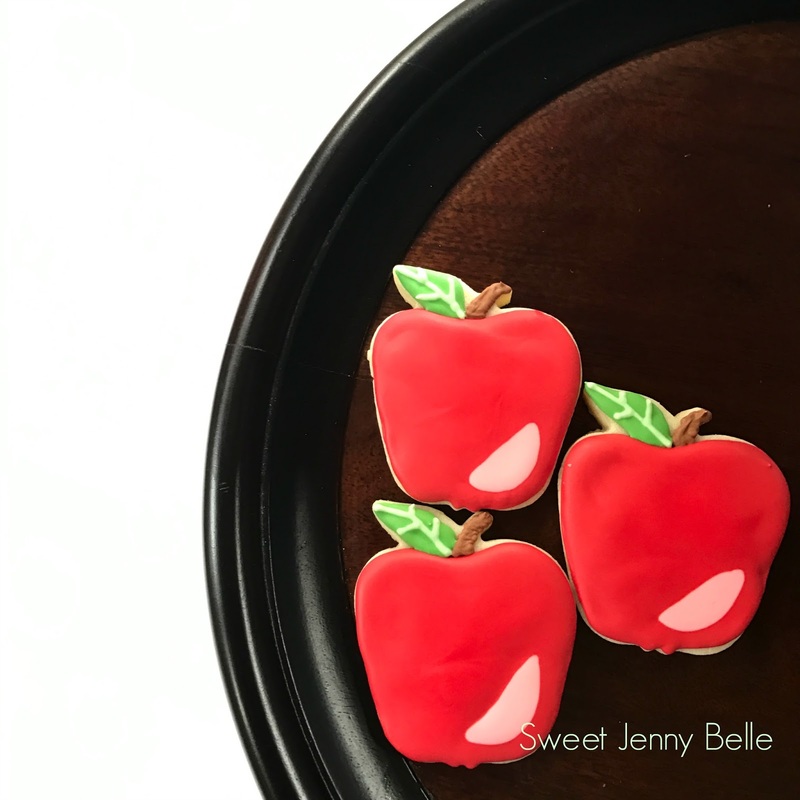 These sweet cookies are easy and I hope you will try them. 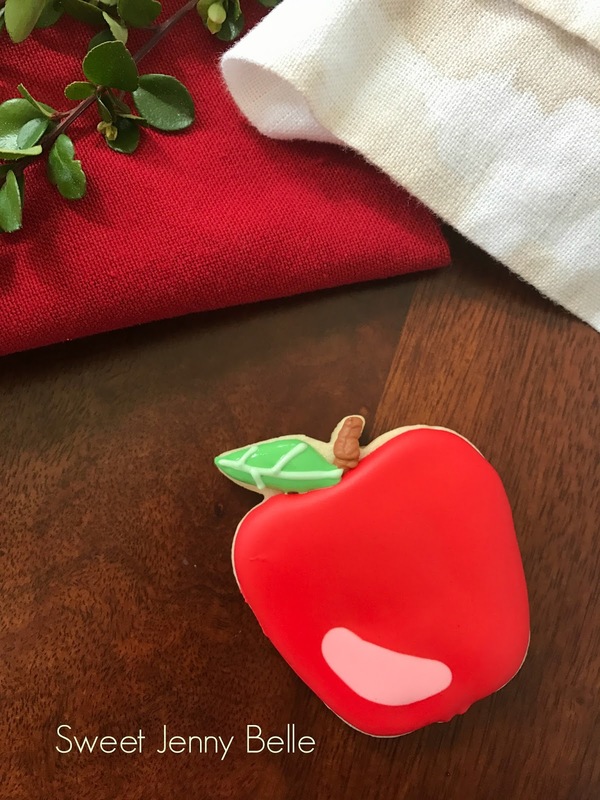 It's no easy task to be a giving tree and it's always wonderful to hear a word of appreciation.